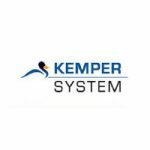 Kemper System is the worldwide leader, innovator and manufacturer of the highest quality, cold liquid-applied, fully reinforced waterproofing and roofing technology in the industry. Architects, engineers, roofing consultants, quality contractors and building owners have come to trust Kemper System when only the best will do. From our 2K-PUR, AC Speed, STS and Coelan Coatings products, Kemper is the proven best! KEMPEROL® 2K-PUR is a solvent-free, fleece-reinforced and liquid-applied waterproofing system based on polyurethane resin. The odor-free product can be used universally on roof decks, roof gardens, plazas, balconies, terraces and also for indoor areas such as bathrooms, catering kitchens and plant rooms. It is the ideal waterproofing system for sensitive areas such as nurseries, hospitals, schools or senior citizens’ homes. It is not only a solvent-free product, but 80% of the polyalcohols (resins) are obtained from renewable raw materials. Kemperol® 2K-PUR is root and rot resistant according to FLL testing. KEMPEROL® AC Speed FR is a quick-curing, cold liquid-applied Polymethyl Methacrylate (PMMA) waterproofing resin that can allow same-day application. The membrane is fully reinforced with a needle-punched polyester fleece that provides exceptional durability for exposed or buried roofing & waterproofing applications. The resin is available in two standard colors, gray or a highly reflective white with an SRI of 108. For roofing applications, KEMPEROL® AC Speed FR system can be applied exposed, direct-to-deck, over an insulated assembly, or recover an existing membrane. The self-flashing membrane is ideal for inverted roof applications as there are no seams or termination bars used. When used for waterproofing, the membrane can be covered with tile, paver, pavement, growing media and other types of approved overburden. Optional KEMPERDUR® AC Traffic Coating allows for additional surfacing of balconies, terraces, walkways and parking decks with the quick-cure performance. STS by Kemper System’s Roof Guardian Technologies® (RGT) has been on the market for over 15 years, has 2 Cool Roof Rated, and 2 Energy Star certified, EPA, VOC compliant, liquid applied, elastomeric systems for use in restoring and prolonging the life of not only metal roofs, but also smooth surfaced BUR, polymer modified asphalt and single ply roof systems. Save energy on your building by applying one of our Cool Roof systems today. STS by Kemper System’s Wall Guardian® FW-100-A is a one-component acrylic based, liquid applied, elastomeric, air and water barrier, vapor permeable (breathable) product that can be sprayed or rolled onto the wall surface. This product is designed to use in cavity wall constructions, such as gypsum board, OSB sheathing, plywood, CMU and other construction surfaces. COELAN® by Kemper System offers cost-effective alternatives to cold fluid-applied systems that have limitations due to assemblies and installation constraints. COELAN® Coating Systems offers two flexible installations specifically designed for foot traffic and vehicular traffic. The Balcony System is a multi-layer coating system engineered for non-skid pedestrian traffic on Balconies, Walkways, Terraces, Entries, Stairwells, Pedestrian Bridges, and interior floor surfaces that may require additional protection such as mechanical rooms, laundry rooms, and other areas where moisture protection is a concern. COELAN® Parking Systems offers a variety of Primers to prepare the surfaces based on the existing condition. The standard system is suitable for any parking garage, driveway, passenger drop-off area, or loading dock. The Heavy Duty system offers additional UV protection and rapid cure to get the facility back in operation as soon as possible.